Football Mindset coach professional footballers using performance and self-development techniques to help players perform to the highest level possible. The athletes can do all the physical training they need, but Football Mindset believes if nothing changes in their head, then nothing will change on the park. 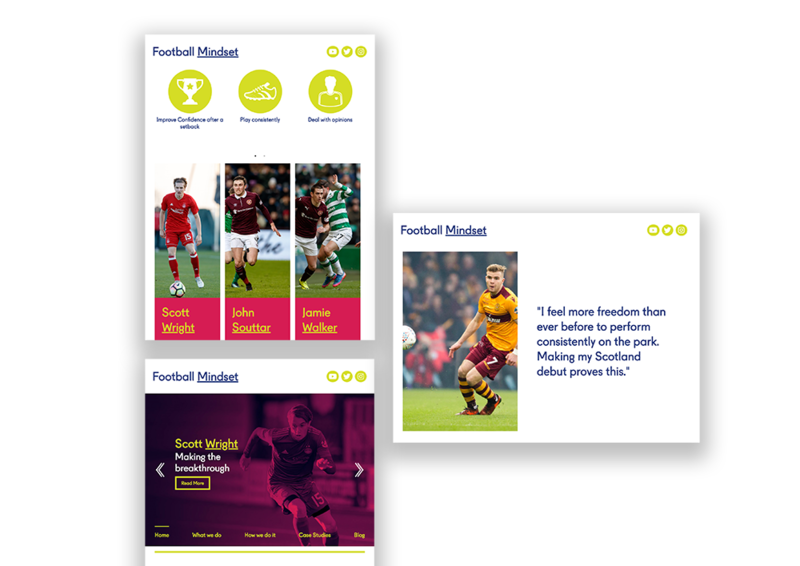 We developed the Football Mindset website in collaboration with award-winning graphic design studio Four Twenty Seven Design, who designed the Football Mindset branding and user Interface. 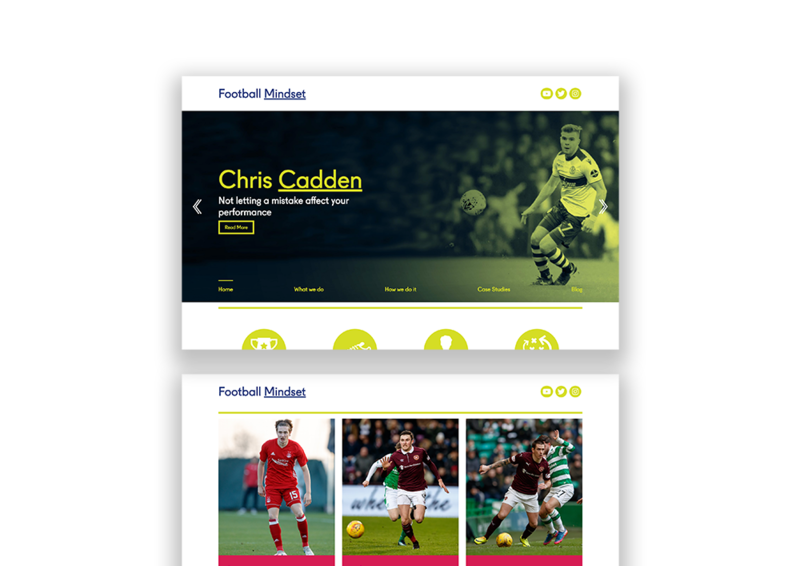 Football Mindset has helped many players become successful in Scottish Top division and International Football. This includes Scottish International footballer Chris Cadden who help with the launch of the site with a cameo in our photo shoot. We translated Four Twenty Seven Design user interface into a fully responsive website that adapted to all screen sizes. 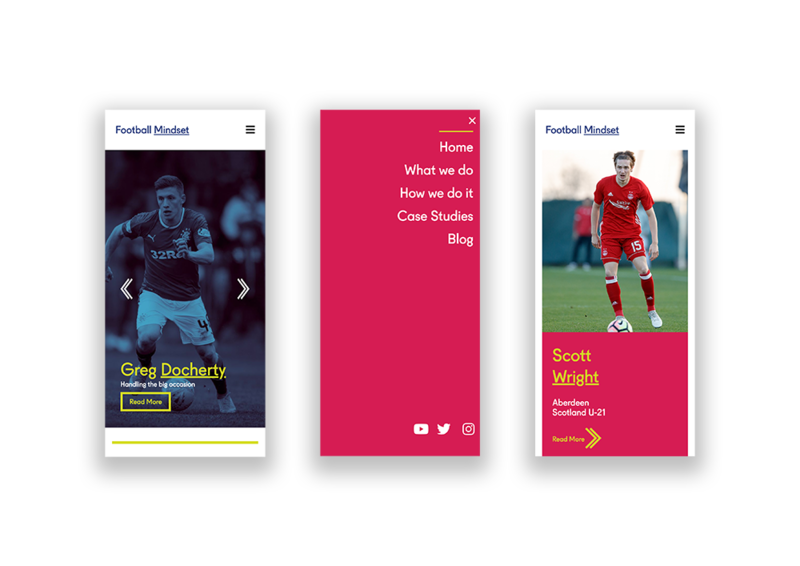 We also worked closely with them to develop a mobile design language for navigation and scrollable elements.